All aluminum, rim weighted modern shape, take-apart design. 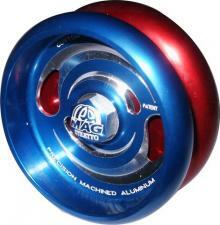 Ball bearing axle and performance rings create a smooth yo-yo. This limited series has added interest with the cutout design.